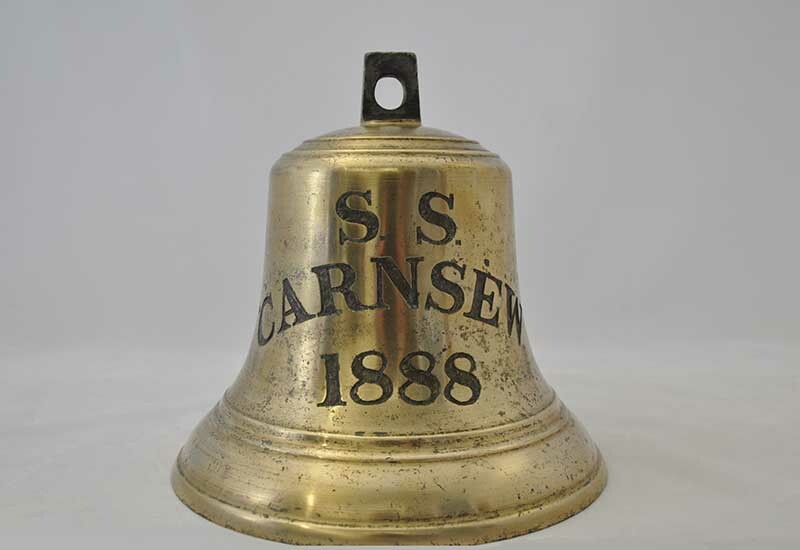 This cast copper-alloy bell, used to announce the changes of watch on the SS Carnsew, was recovered by divers from the seabed off Bull Point in North Devon and donated to the Heritage Centre in 2015. The Carnsew, built by Harvey & Co in 1888, served between Hayle, Bristol and South Wales carrying coal, copper and tin ores. She was 140 feet long and around 340 gross tonnage, driven by a two-cylinder steam engine and single screw. In 1903, on returning to Hayle, she collided with another cargo ship and sank. No lives were lost.